pre-trial phase in a lawsuit in which each party, through the law of civil procedure, can obtain evidence from the opposing party by means of discovery devices including requests for answers to interrogatories, requests for production of documents, requests for admissions and depositions. Discovery can be obtained from non-parties using subpoenas. When discovery requests are objected to, the requesting party may seek the assistance of the court by filing a motion to compel discovery. As I have noted in earlier posts, and as this report explains in detail, a similar discovery process takes place in criminal prosecutions at the state and federal levels. [t]his appeal arises from a lawsuit filed by [Fasteners for Retail] FFR in an unrelated matter in the United States District Court for the Northern District of Illinois. See Fasteners for Retail v. Anderson, 2011 U.S. Dist. LEXIS 124937 (U.S. District Court for the Northern District of Illinois 2011). FFR, a company engaged in selling products used in retail shelving displays, brought suit against K International (`KI’) and Gerald Andersen alleging patent infringement, false advertising, misappropriation of trade secrets, and other claims. KI filed a counterclaim, alleging false patent marking and other claims. During the course of the Illinois litigation, FFR learned DeJohn, who had worked as FFR's vice president in charge of sales until his termination on March 12, 2008, performed consulting work for KI. FFR also learned that Kump, who had worked as FFR's vice president for new market development until his termination on October 24, 2009, also performed consulting work for KI. . . .
[O]n July 12, 2012, FFR filed suit against DeJohn and Kump in the Cuyahoga County Common Pleas Court. In relevant part, FFR alleged DeJohn and Kump had breached the confidentiality and nondisclosure provisions of their employment agreements, misappropriated trade secrets, and engaged in unfair competition; Kump breached his noncompete agreements; and DeJohn tortiously interfered with Kump's contract with FFR. DeJohn and Kump filed answers denying liability and also filed counterclaims asserting breach of contract, abuse of process, and unfair competition. Fasteners For Retail, Inc. v. DeJohn, supra. In October of 2012, FFR “FR sought discovery from DeJohn and Kump but they “did not fully comply with FFR's request”. Fasteners For Retail, Inc. v. DeJohn, supra. FFR then “filed a motion to compel in which it said DeJohn and Kump filed incomplete responses to a number of interrogatories.” Fasteners For Retail, Inc. v. DeJohn, supra. DeJohn and Kump then moved to strike the motion to compel “because it was not signed by counsel”, i.e., had apparently not been signed by FFR’s lawyer. Fasteners For Retail, Inc. v. DeJohn, supra. They also claimed it “was overbroad,” “indicated . . . they had no list of FFR customers” and claimed neither of them “had disclosed FFR's confidential information.” Fasteners For Retail, Inc. v. DeJohn, supra. DeJohn and Kump also filed their own request for discovery from FFR, and then filed their own motion to compel FFR to comply with their requests. electronic discovery, asserting that the parties `have been unable to agree upon the parameters of discovery.’ FFR proposed that defendants produce `any relevant computer hard drives and electronic media’ for FFR's review, and from that review a list of search terms would be derived. . . . FFR would [then] `produce pursuant to a protective order a subset of documents concerning the information FFR contends constitutes Confidential Information.’ In opposition, defendants asserted that it would be unfair to order defendants to provide discovery to FFR before FFR provided any discovery to defendants. added [Bruce] Hrvatin and KI as new party defendants and alleged that DeJohn, Kump, and Hrvatin breached their employment agreements, misappropriated trade secrets, and engaged in unfair competition; that DeJohn tortiously interfered with Kump's employment; and that Kump and DeJohn fraudulently induced FFR to enter into severance agreements. FFR asserted that DeJohn stated that he experienced computer problems that prevented him from retrieving all of his emails, and Kump had the hard drive on one of his computers replaced one day before this matter was filed. FFR also asserted that DeJohn wrote `Hello men’ on a number of emails with two recipients who are employees of FFR, but `FFR has received more of the chain,’ thus suggesting a larger email chain existed. FFR also submitted evidence that its expert, Mark Lanterman, had developed an electronic discovery protocol that has successfully been used by attorneys for years. should not be given unfettered access to their computers since FFR already had access to all of the email sent to FFR from its own servers, in addition to all of the information obtained in the Illinois litigation. Moreover, defendants argued, FFR had not shown that the defendants revealed any confidential information. I. The trial court erred because its order compels production of irrelevant, privileged and confidential information and imposes an undue burden on Appellants. II. The trial court erred in ordering forensic imaging of Appellants' computer hard drives because Appellee failed to demonstrate what it must [do] to warrant that degree of intrusion, disruption, and invasion. III. The trial court erred in issuing the discovery order because it fails to include any protocols and procedures and because it fails to adequately protect Appellants' privileged and confidential electronically-stored information. The Court of Appeals began its analysis of the arguments by noting that under Ohio Rule of Civil Procedure 26(B)(1), the scope of discovery in a civil suit encompasses “`any matter, not privileged, which is relevant to the subject matter involved in the pending action, whether it relates to the claim or defense of the party seeking discovery or to the claim or defense of any other party’”. Fasteners For Retail, Inc. v. DeJohn, supra. It also noted that it would review the correctness of the court’s discovery order and the imposition of “forensic imaging . . . as a sanction” under an abuse of discretion standard. Fasteners For Retail, Inc. v. DeJohn, supra. 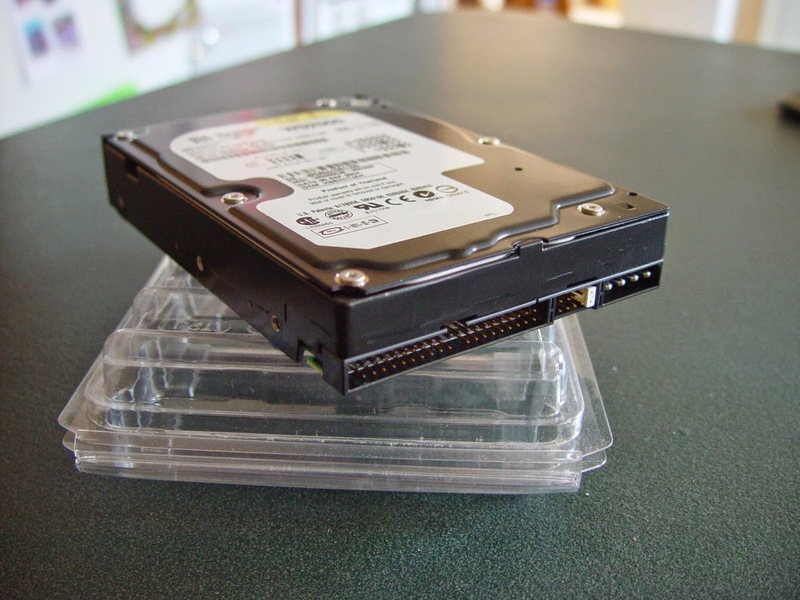 courts are generally reluctant to compel such forensic imaging of a hard drive `largely due to the risk that the imaging will improperly expose privileged and confidential material contained on the hard drive.’ Bennett v. Martin, supra. For that reason, and . . . to guard against undue intrusiveness to a party's privacy and confidentiality, the Bennett court established a two-part procedure to determine whether forensic imaging is warranted. . . . Bennett v. Martin, supra. First, the trial court must weigh the parties' interests in obtaining the discovery against privacy concerns. Second, the trial court must set forth a protective protocol to ensure forensic imaging is not unduly intrusive. Bennett v. Martin, supra. requisite showing of defendants' noncompliance with discovery as mandated under the first portion of the Bennett procedure. The record demonstrates that FFR was noncompliant with defendants' request for production of documents during the course of litigation. FFR also conceded that the parties `failed to reach agreement on terms of a stipulated protective order creating a standstill in discovery.’ In addition, FFR sought detailed electronic discovery as early as October 2012, or prior to its filing of any motion to compel discovery. Moreover, under FFR's proposal, defendants would produce `any relevant computer hard drives and electronic media’ for FFR's review, then upon [their] compliance, FFR would `produce pursuant to a protective order a subset of documents[. ]’ At this time, however, there is no evidence in the record that FFR has fully complied with discovery, and FFR has already received extensive records from the Illinois litigation. The court also noted that the record of the litigation in the case to this point did not “demonstrate that the documents FFR sought were being unlawfully withheld and not available from FFR's own information or other sources.” Fasteners For Retail, Inc. v. DeJohn, supra. So, since “the showing required under the first portion of the Bennett analysis [was] not met”, the Court of Appeals found DeJohn’s and Kump’s first two arguments were “well taken.” Fasteners For Retail, Inc. v. DeJohn, supra. The Court of Appeals then took up the second Bennett procedure: a protective protocol. Fasteners For Retail, Inc. v. DeJohn, supra. This was Dejohn’s and Kump’s third argument on appeal, as noted above. Fasteners For Retail, Inc. v. DeJohn, supra. [u]nder the second portion of the Bennett procedure, a trial court abuses its discretion when its judgment entry permits unfettered forensic imaging of a party's electronic devices, and contains none of the Bennett protections required to conduct such forensic analysis. . . . In this matter, the record does not contain the protective protocol required under Bennett. Therefore, DeJohn and Kump's third assignment of error is well taken. The trial court abused its discretion in ordering forensic imaging of appellants' computer hard drives. Accordingly, the judgment is reversed and remanded for further proceedings consistent with this opinion. So, the trial judge will presumably either not order the forensic imaging or, if he/she does order imaging, will (i) make the necessary findings to justify that step under the Bennett case and (ii) establish the protective protocol also required under Bennett. The Contractor, Theft and "Computer Intrusion"